Can you guess which reality TV couple this is? 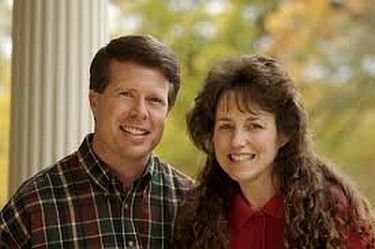 It’s Jim Bob and Michelle Duggar of 19 Kids & Counting! 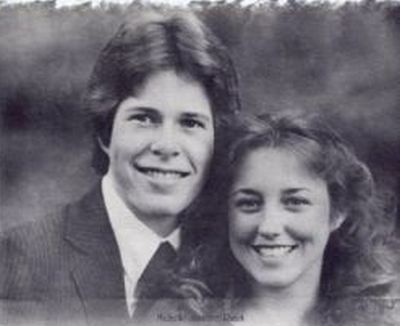 Married since 1984, these two are the parents of 19 (and possibly 20 if they have their way!) and the grandparents of three. Despite their busy family life, Jim Bob and Michelle still make their relationship a priority. “Oftentimes, Jim Bob plans a date for us once a week, usually on Saturday. Our dates are a really special time for us to communicate more with each other.”” she recently told Celebrity Baby Scoop. Wanna know what it’s like to grow up in the Duggar House ‘o’ Babies? You’re in luck– the oldest Duggar daughters are planning to release a book about their family!